For the third year in a row, University of West Florida students will take their talents abroad through the UWF Irish Experience program, “The Emerald Coast Meets the Emerald Isle." From May 25 to June 23, 2016, UWF theatre, music and art students will experience the arts and culture of Ireland in this innovative study abroad program. 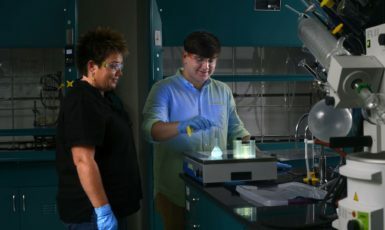 “The vision has always been that UWF’s Irish Experience program would be a triumph in cross-cultural exchange programming, delivering excellence in education, primary research, creativity and performance,” said Howard Reddy, associate director of community engagement, who coordinates the program. Although the inaugural year was exclusively for students from the theatre department, last year’s class saw participation from the art department and this year’s class welcomes students from the music department. A total of 19 students led by four faculty members will participate in the 2016 program. During the month-long creative journey, theatre students will perform Thornton Wilder’s play “Our Town” at the George Bernard Shaw Theatre in Carlow, directed by UWF’s Scott Hudson, assistant professor of acting and directing, and produced by Charles Houghton, chair of the UWF theatre department. Music students, under the direction of assistant professor Blake Riley, will present recitals at both the Carlow Cathedral and the Royal Irish Academy of Music in Dublin. Art students, led by Nick Croghan, director of The Art Gallery at UWF, will create work alongside famed Irish artists David King and Elizabeth Cope. 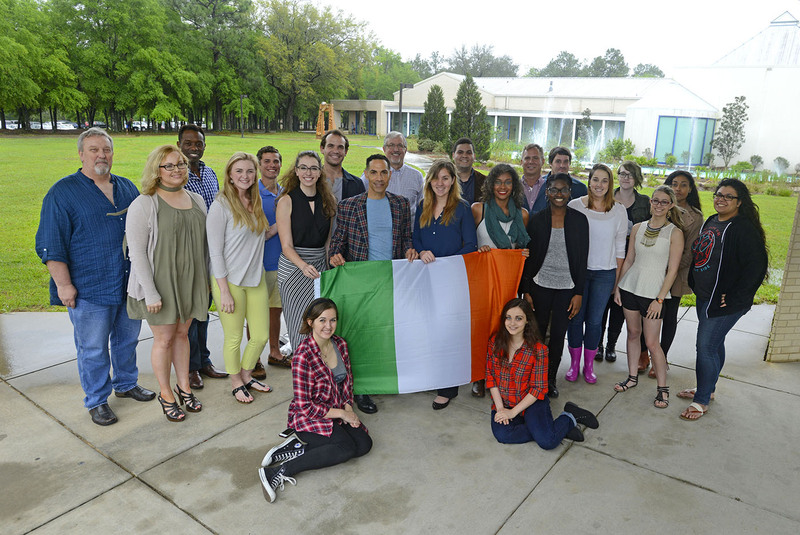 All students participating in the UWF Irish Experience program will engage in workshops relevant to their disciplines and participate in an Irish Studies course designed especially for them by historian Dr. Eric Derr of Carlow College. Classwork is integrated with field trips that support the readings and discussion, Reddy said. In addition to tours of West Cork and Kerry, the trip coincides with the vibrant Carlow Arts Festival, as well as the Borris House Festival of Writing and Ideas. Music student Rebekah Pyle says there were many things about the program that attracted her to participate – although the master classes and workshops were definitely a top draw. “Learning from some of our industry’s top contributors is something that is invaluable and very important to our growth as musicians,” she said. Programs like the UWF Irish Experience are transformative in ways that will enrich the lives of participants for years to come, according to Dr. Sheila Dunn, associate professor, director of voice and chair of the UWF Department of Music. Undoubtedly, she said, they will grow as musicians, yet they will also gain life experience learning about other cultures and people – which will influence their music and work for the rest of their lives. To learn more about the UWF Irish Experience program or other UWF Study Abroad programs, visit uwf.edu/studyabroad.